Classic and contemporary come together to form this stylish 29" saddle chair. Simple tapered post legs provide a distinctive and sturdy base with a touch of contemporary style. Upholstered seats in red, espresso, or black let you choose the color that suits your personality and blend seamlessly with existing dining decor. 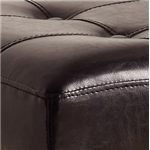 Tufted button accents define the chair's top for a rich padded look that provides comfortable seating for one. Pull up to a pub table or slide under your kitchen counter for casual seating anytime. This style is also available in a 24" height. The Kent & Portman Saddle Chairs 29" Kent Saddle Chair with Tufted Button Seat by Crown Mark at Miskelly Furniture in the Jackson, Pearl, Madison, Ridgeland, Flowood Mississippi area. Product availability may vary. Contact us for the most current availability on this product. 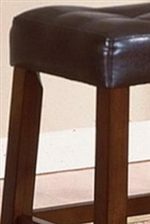 Finish Rich espresso or dark black finish on chair legs. Finish & Paint Options Espresso or black finish on chair bases and legs. A classic shape gets a modern makeover in the Portman and Kent Saddle Chair collection. 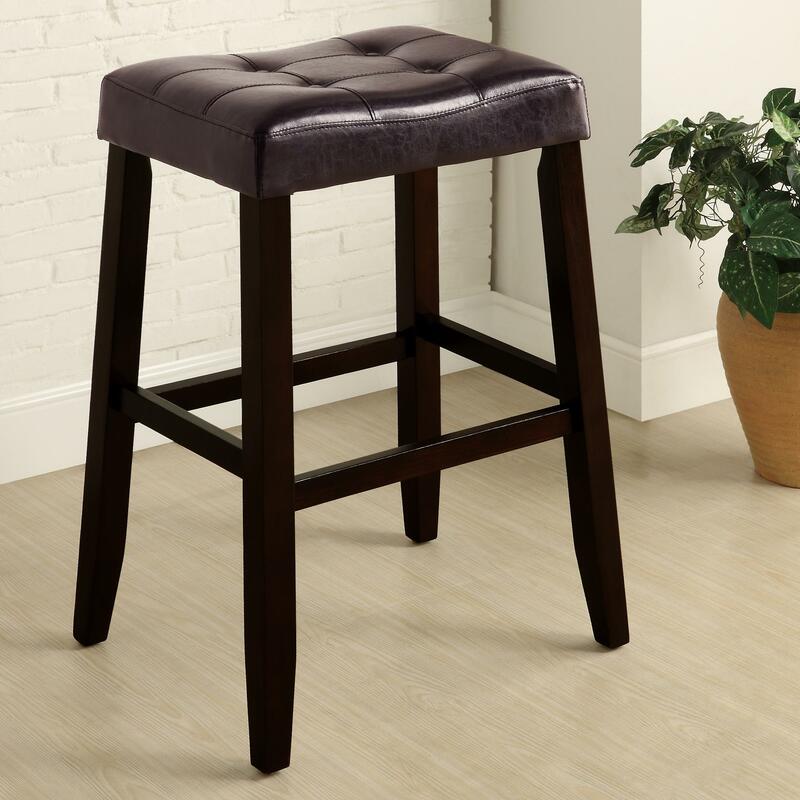 Tapered post legs joined with horizontal stretchers form a sturdy base for each stool, while two distinctive finishes complete each piece in an understated contemporary style. 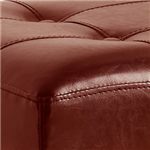 A rich padded look is achieved on the stools' seats through tufted button accents that define the rich brown, black or red leather look upholstery featured on each. Your choice of 24" or 29" heights even lets you choose the seat height that suits your dining space. Pull up to a pub table or slide under your kitchen counter for casual seating with a hint of contemporary style. 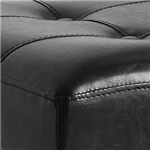 The Kent & Portman Saddle Chairs collection is a great option if you are looking for Casual furniture in the Jackson, Pearl, Madison, Ridgeland, Flowood Mississippi area. Browse other items in the Kent & Portman Saddle Chairs collection from Miskelly Furniture in the Jackson, Pearl, Madison, Ridgeland, Flowood Mississippi area.